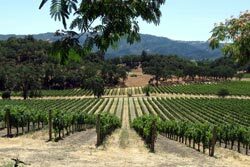 At Joseph Phelps Vineyards, our philosophy is to maintain, preserve and (where possible and appropriate) ecologically enhance the natural vineyard environment. While this goal is essential for present vineyard practices, it will have an even more profound effect on the development of maturing vineyards in the future. 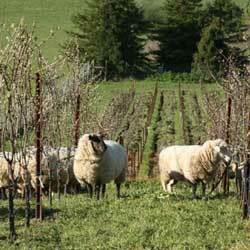 In order to achieve the greatest possible ecological health in and around our vineyards, we continue to build upon the sustainable vineyard practices we have been using since the early 1980's, and gradually but steadily we are embracing a style of farming known as biodynamic agriculture or simply, biodynamics. 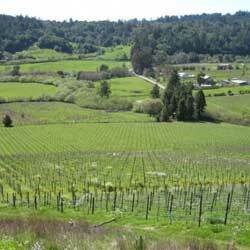 The Yountville Ranch is a 48-acre site with a cover crop of fescues, clover, chickweed, chamomile and other grasses on the vineyard avenues to reduce soil erosion. Biodynamic farming methods are used at this site.